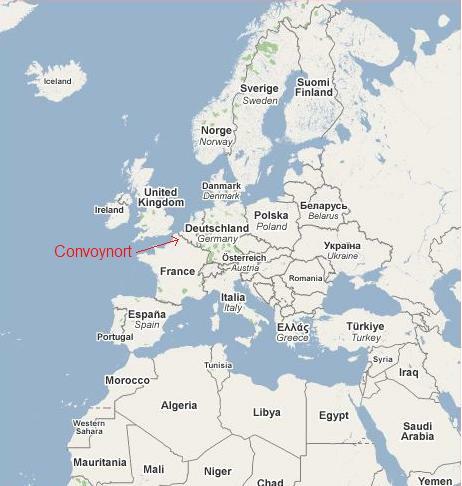 CONVOYNORT is a French company founded in 1995 and a subsidiary of the Swedish group HJORT CONVEYOR-AB, which celebrated its 50th birthday in 2012. The headquarters of the group HJORT CONVEYOR is located in SWEDEN HELSINGBORG. Based a few kilometers from LILLE in northern FRANCE, the location of CONVOYNORT allows quick and easy accesses to many countries and its customers. In constant collaboration with our parent company, we design, manufacture and install conveyor lines. Our knowledge and recognized experience in this field have led us to realize many overhead or floor handling installations in EUROPE and worldwide. Historically, conveyor systems for paint application lines have always been numerous in our business. Nevertheless we are not limited to that single segment. The industry in general is our focus. Our products consist of standard components and are easily adaptable to varied requirements. Besides component supply, we provide turnkey realizations, maintenance and service. Internal manufacturing and simplicity are the basis of the quality of our conveying equipment. CONVOYNORT is certified ISO 9001 version 2008.